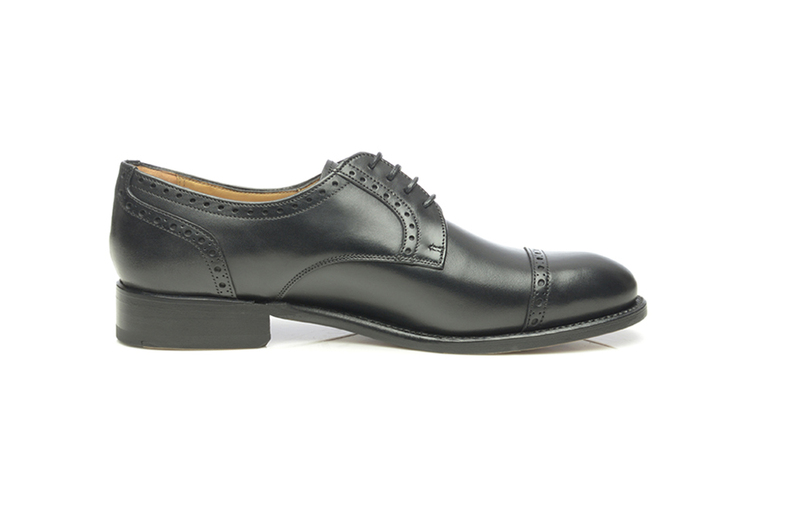 This women’s quarter-brogue Derby in black combines centuries-old traditional craftsmanship with classic design and premium materials. 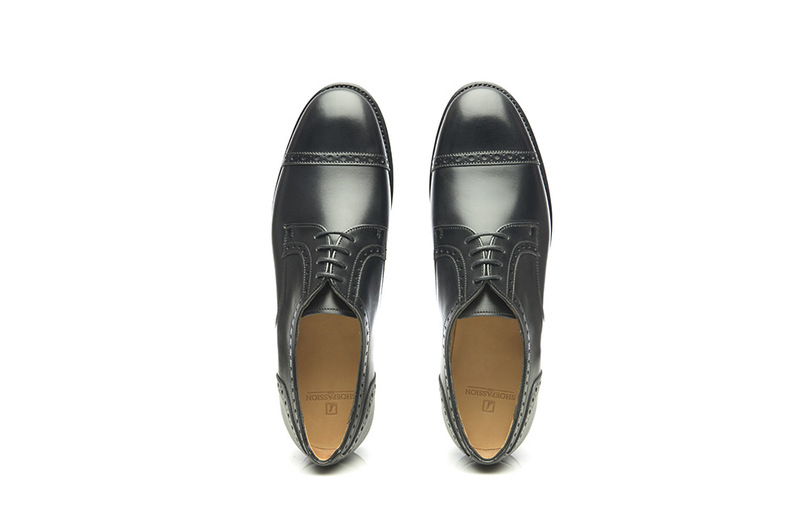 Handcrafted and Goodyear-welted, it boasts an upper made entirely of fully-dyed calfskin. No. 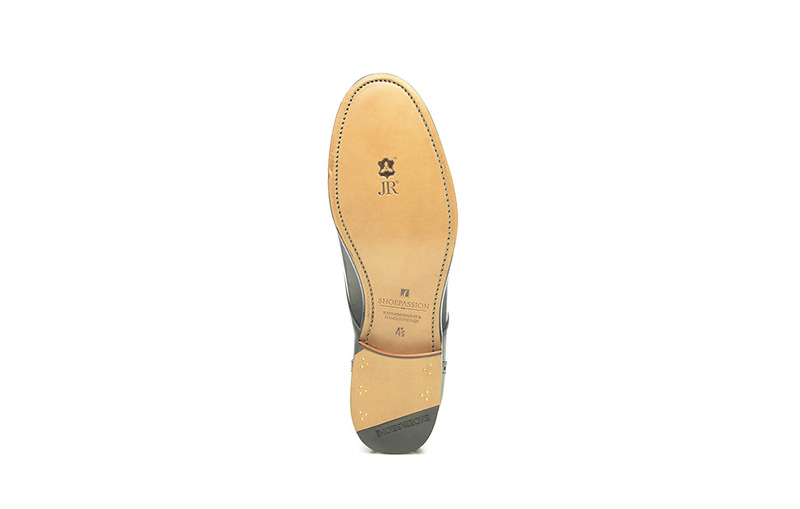 140 is a full-leather shoe in that the lining, insole, outsole, and heel are all made of premium cowhide. 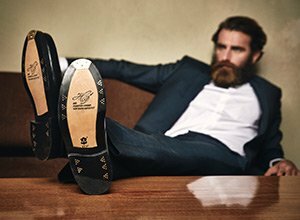 The outsole and heel have been sourced from the Trier-based Rendenbach tannery, prized worldwide for making the best leather soles in the world. 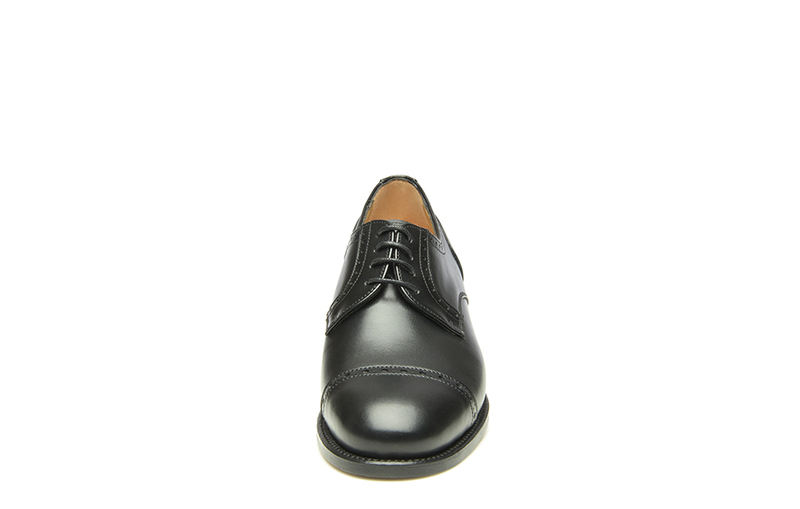 Open four-eyelet lacing, whereby the quarters are stitched on top of the shaft, means that the side pieces of this quarter-brogue Derby can be widened as desired, making the shoe easy to put on and take off. 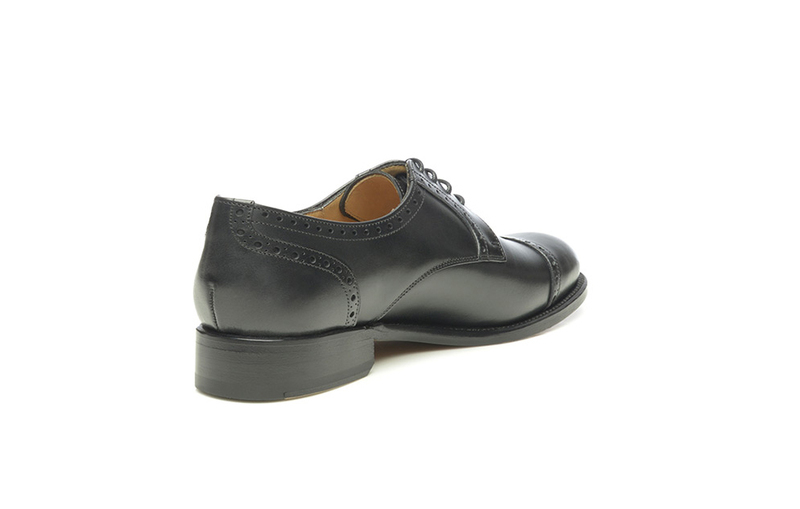 Women with high arches will particularly appreciate the additional room provided at the instep. No. 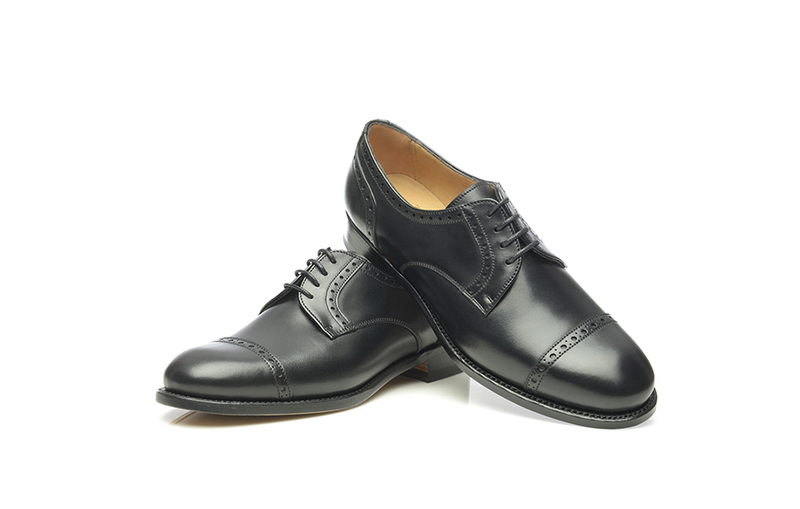 140 also features delicate Lyra perforation along the toe cap seam as well as along the shaft edge pieces by the lacing and at the heel. 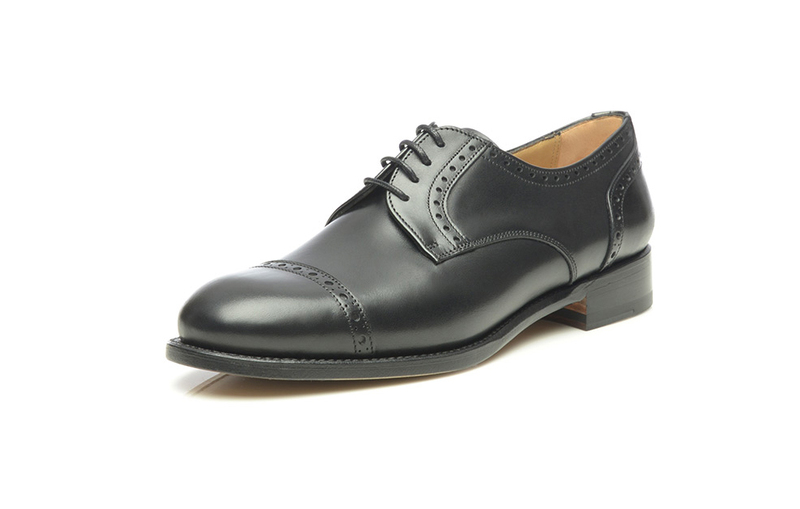 Generally speaking, the Derby shoe is a touch less formal than the classic Oxford with its closed vamp cut. 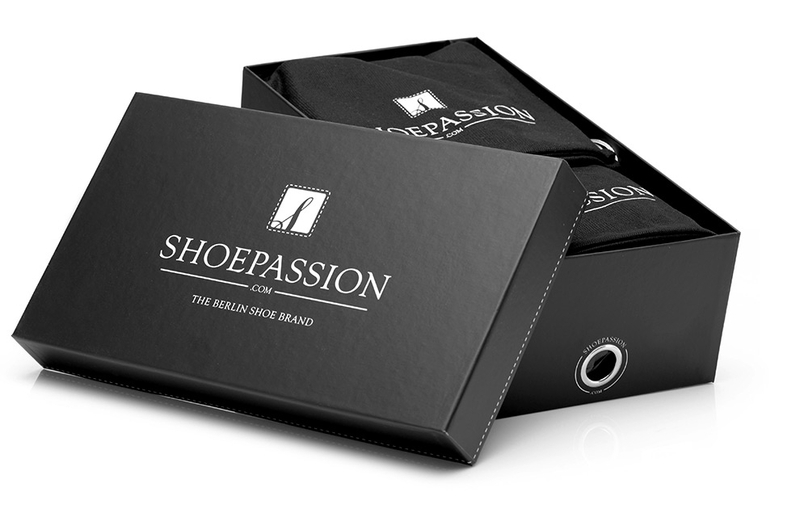 Nevertheless, No. 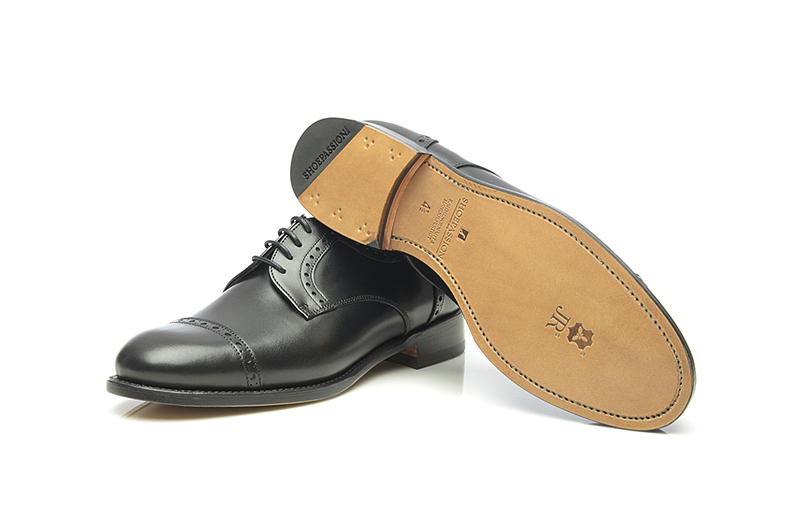 140 is an excellent choice for office wear, thanks to its subdued design and black upper. 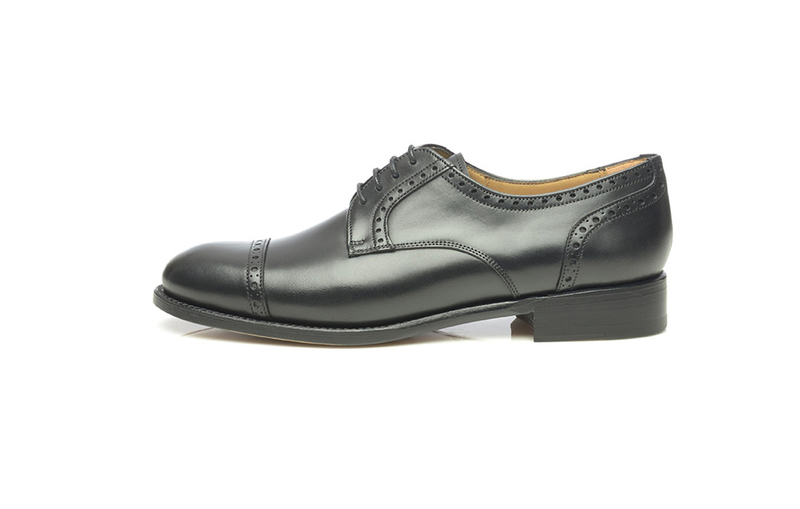 This women’s quarter-brogue Derby in black is also an excellent match for more casual attire. 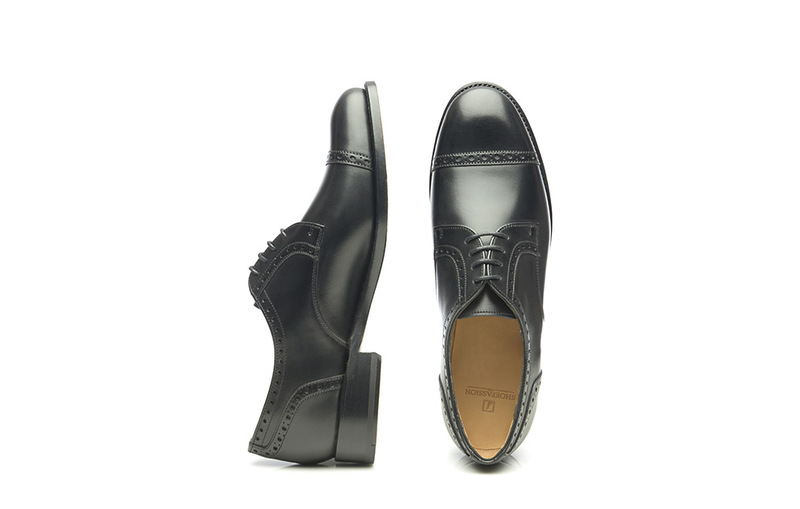 Originally designed as a playful men’s shoe, the shaft piece edges and toe cap seam on this quarter-brogue feature elaborate decorative perforation. 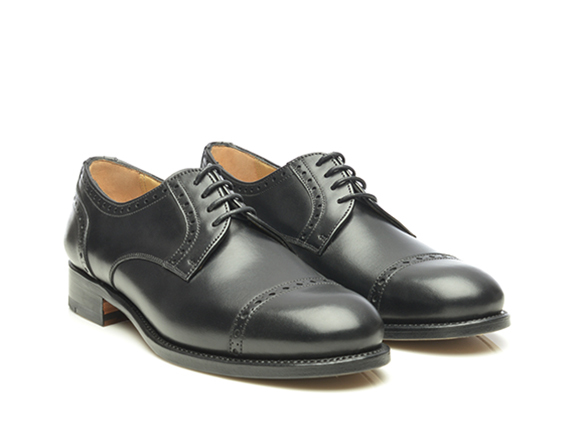 Since the 20th century women have been wearing these as well. 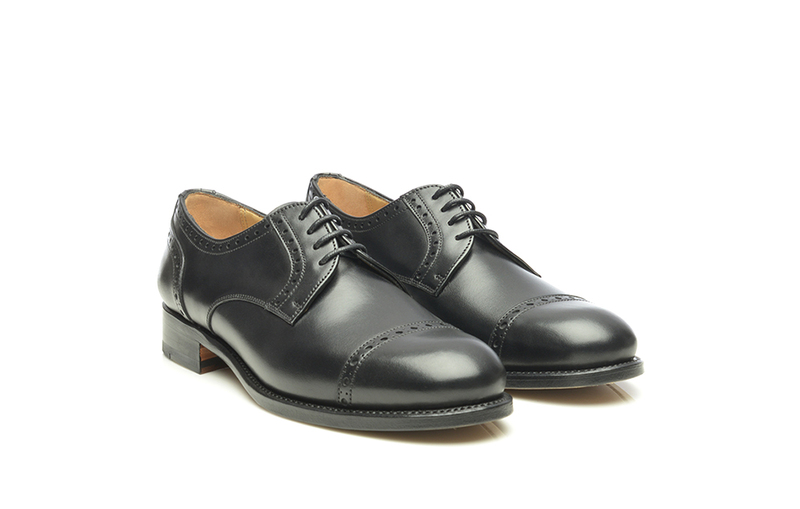 Unlike the half-brogue, the quarter-brogue does not feature decoration on the toe of the shoe.